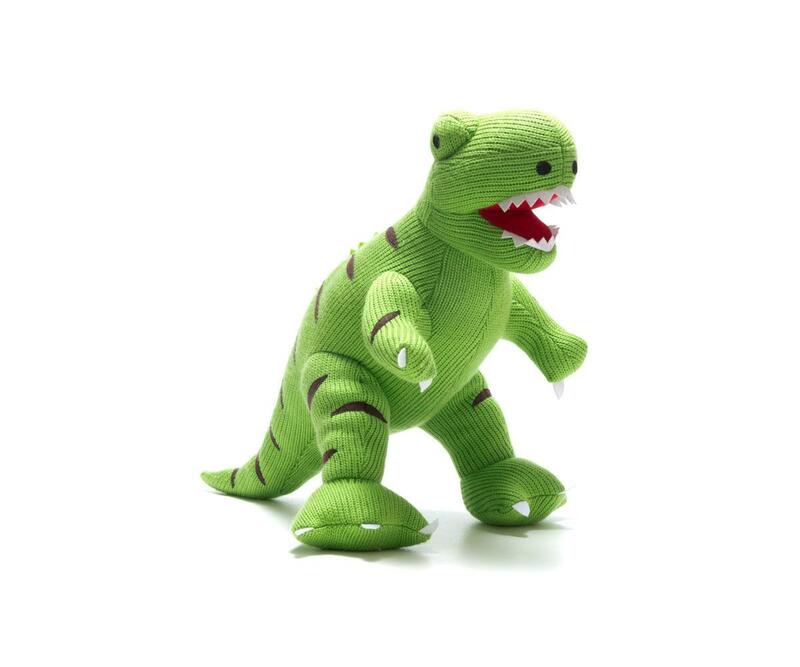 Our wonderful green T Rex super sized knitted dinosaur soft toy is suitable for all ages. This dinosaur is sure to be a giant success with every child and will make a striking impact in any bedroom or nursery. Dinosaur toys for toddlers don't come much bigger! Approx. height 45cm. 100% acrylic. Have you seen our T Rex birthday cards?